This Cinco de Mayo, the Alliance’s Cleveland Young Professional Council did not spend the day cheers-ing drinks. Rather, they dedicated their morning to protecting Lake Erie. The council hosted its first-ever Adopt-a-Beach cleanup Saturday, May 5 at Edgewater Park Beach. Edgewater Park Beach in Cleveland, OH. “The goal of cleanups is to make people aware of the pollution issues, especially in urban watersheds, and efforts to alleviate them,” council member Anne Roberto said, “as well as encourage them to go out and educate others.” At the council’s May cleanup, they partnered with college students from Cleveland State University’s Student Environmental Movement and other area young professionals. Alliance for the Great Lakes’ Young Professional Councils aim to engage the next generation of Great Lakes leaders. The Cleveland Council formed in September 2017. It is the second of the Alliance’s Young Professional Councils, after Chicago. To become a member, a candidate must possess the desire to make a tangible, positive difference in their community and the Great Lakes. At the grant awards reception held at the Greater Cleveland Aquarium, the council announced two grants to local community organizations working on local water quality and waterfront access projects. One grant project focused on reducing surface runoff water pollution in Cleveland neighborhoods. 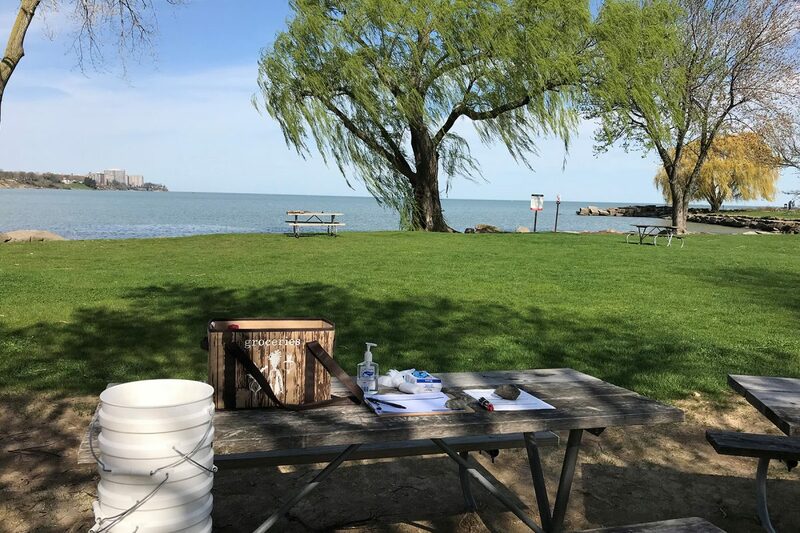 The other grant project aims to improve and beautify community access to Edgewater Park, the site of the council’s recent public Adopt-a-Beach cleanup. “Part of our mission as a group is to…encourage equitable access to the lake,” Roberto said. Congratulations to the Cleveland Young Professional Council for a successful first Adopt-a-Beach event and grant program launch. And, thank you to the council and all of the volunteers who participated in this early spring Adopt-a-Beach event! 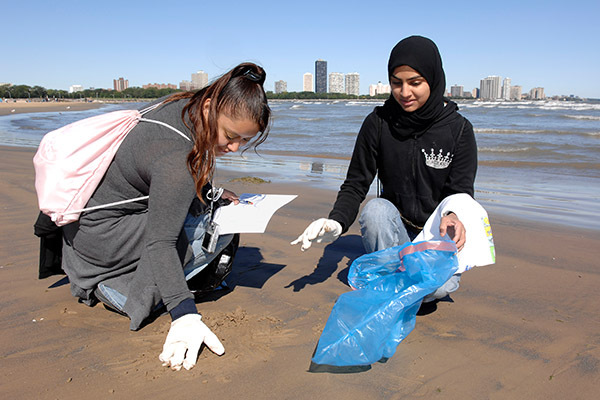 Find an Adopt-a-Beach Cleanup Near You!